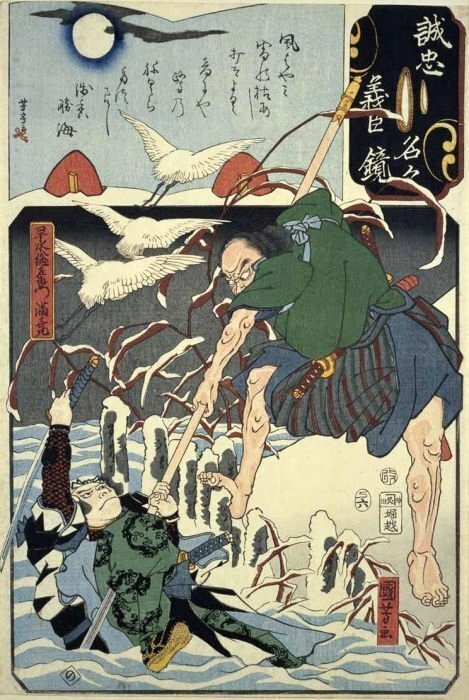 NOTE: Tengu are forest-dwelling creatures that are either human-like with wings and long noses or bird-like. 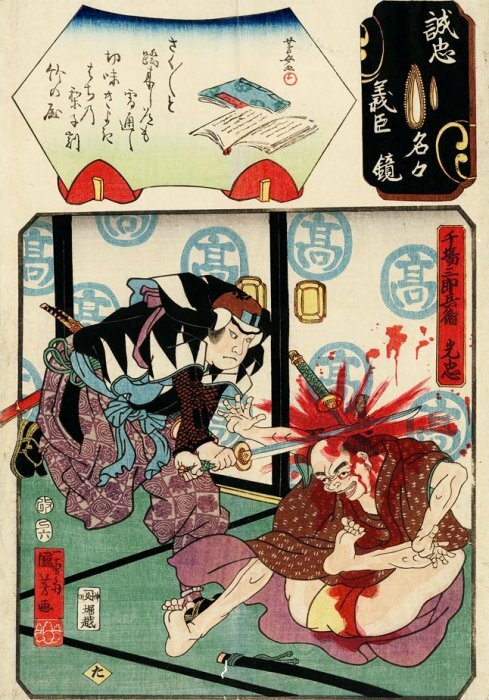 NOTE: The term ‘hara-kiri’, although more common in English than ‘seppuku’, is considered in Japan to be a vulgar and disrespectful description of an honorable action. 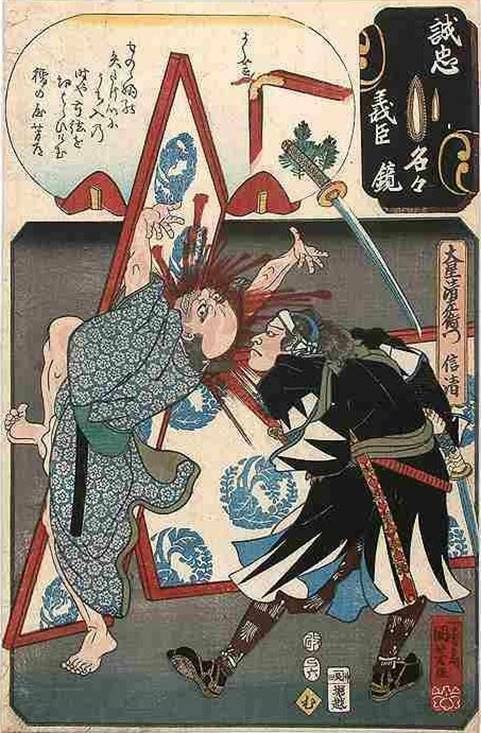 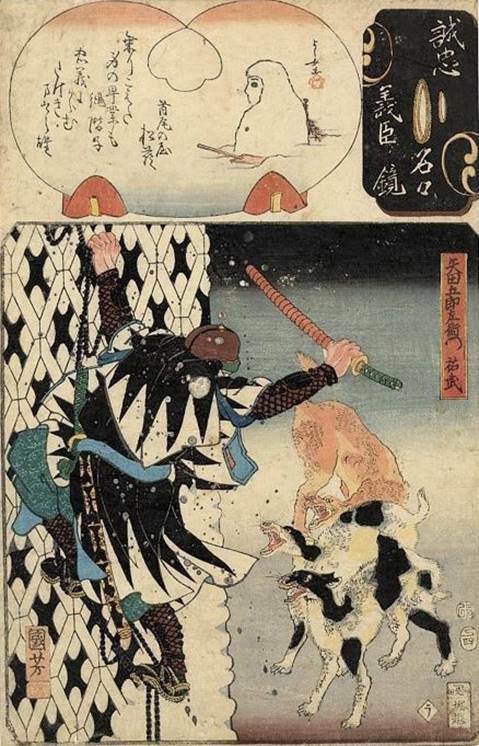 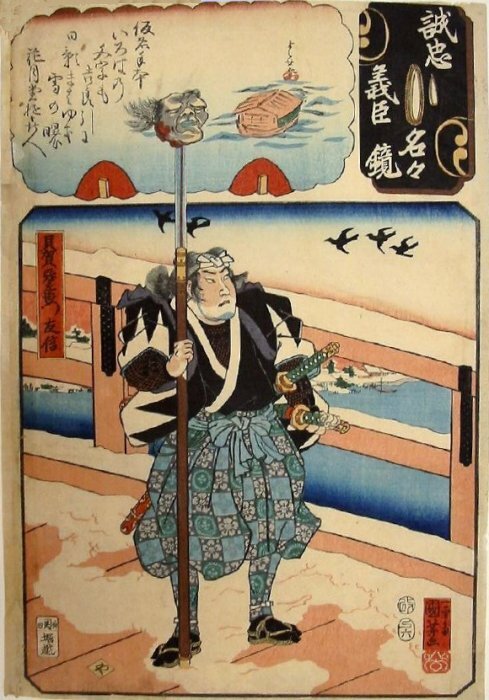 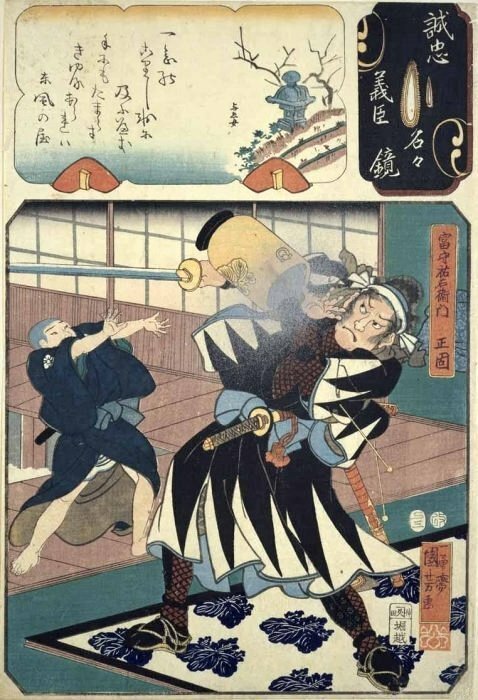 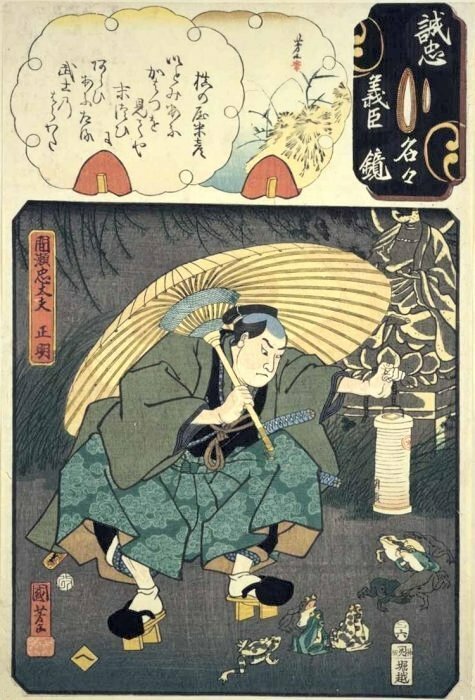 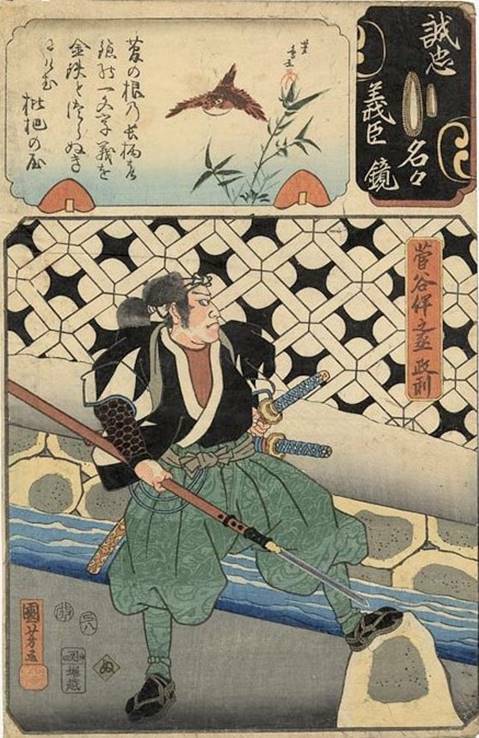 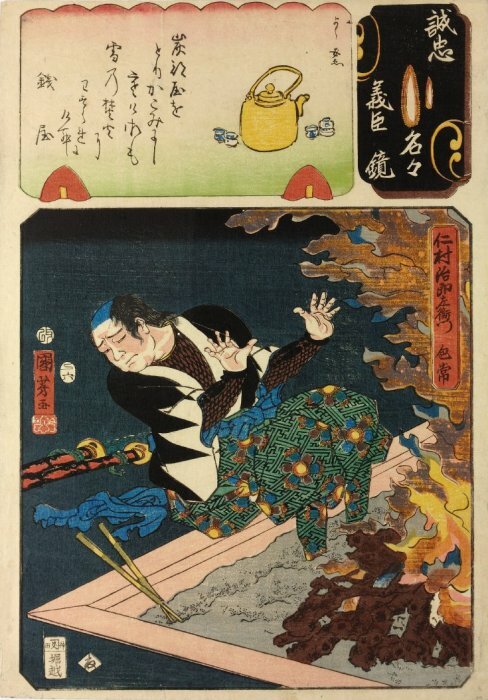 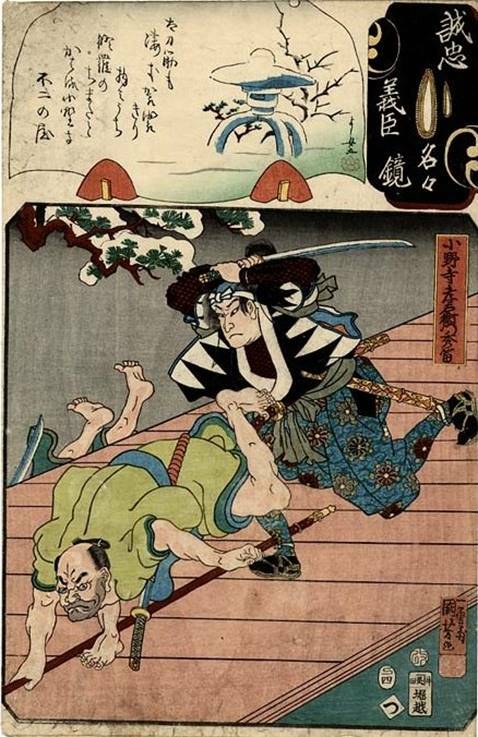 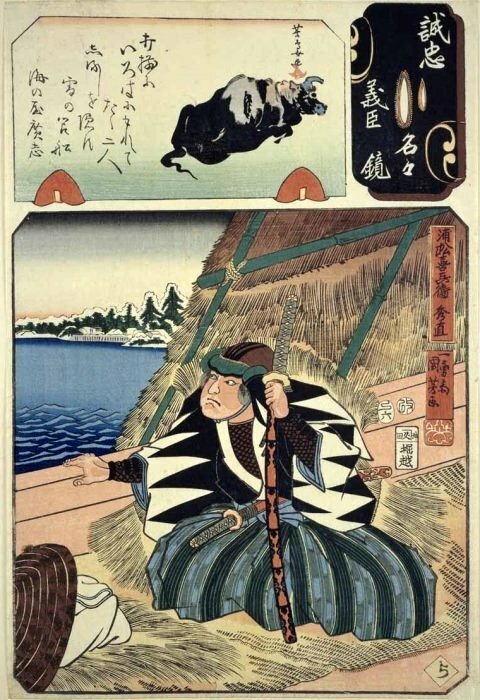 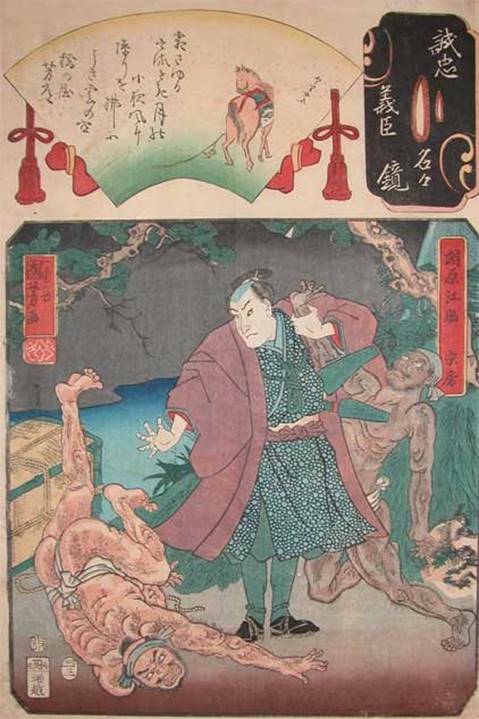 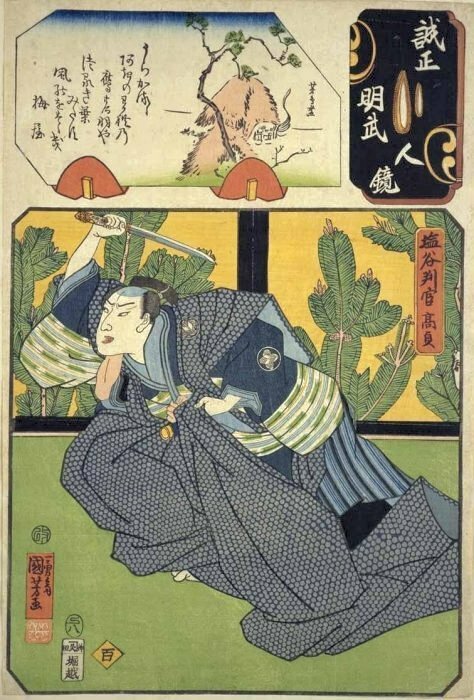 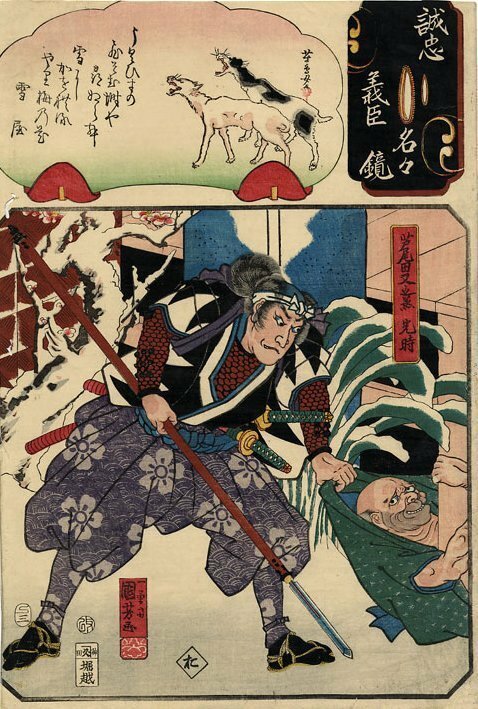 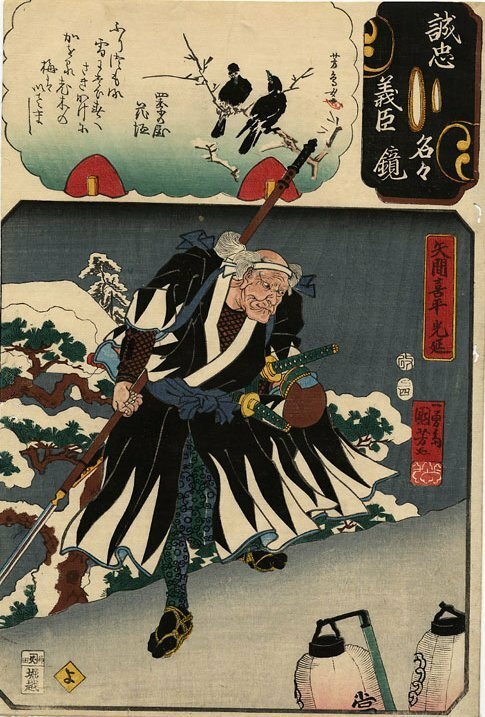 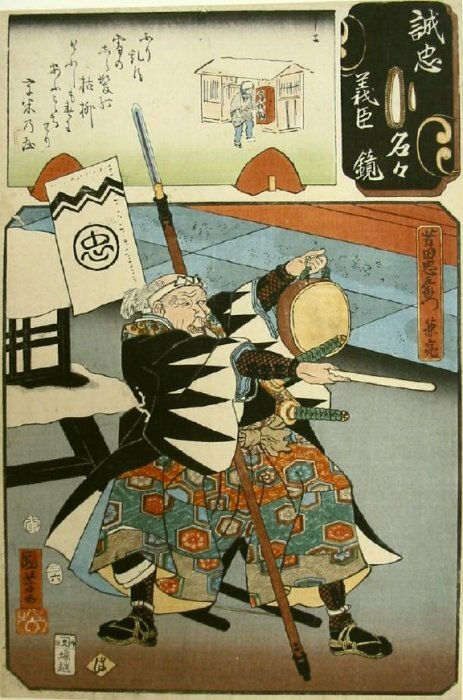 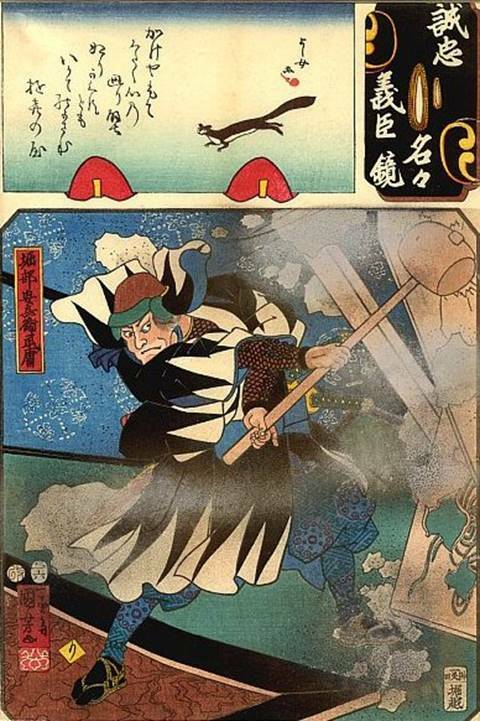 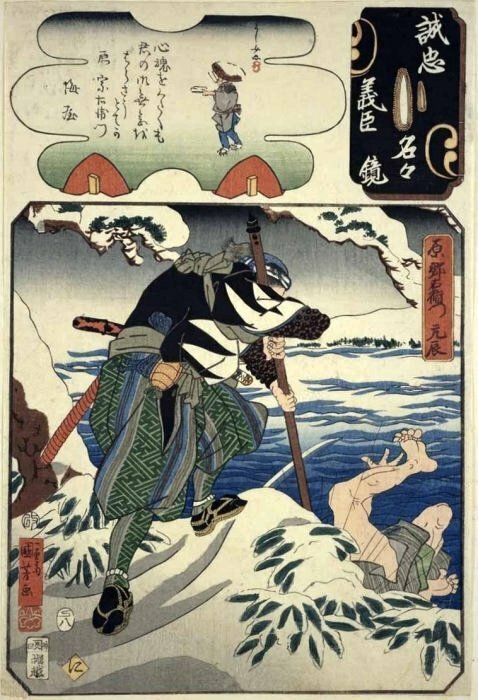 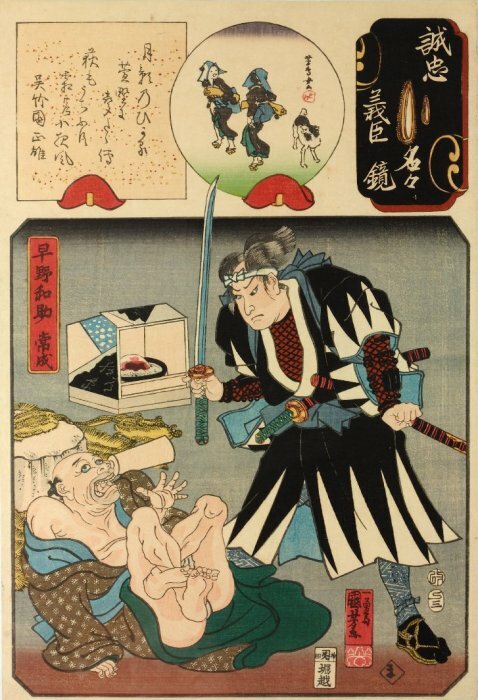 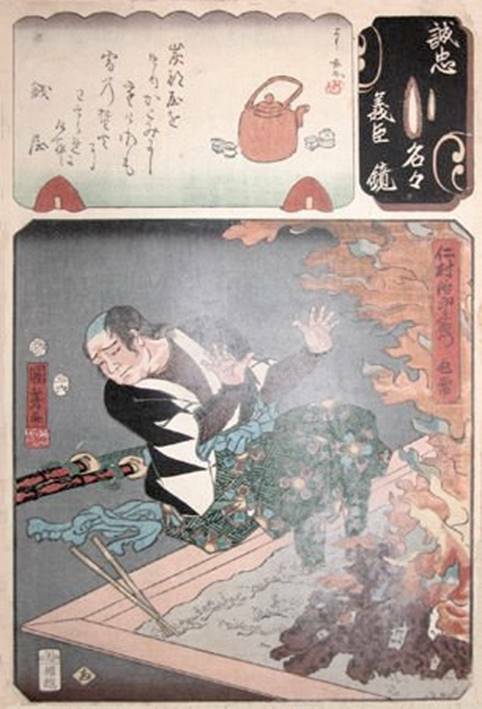 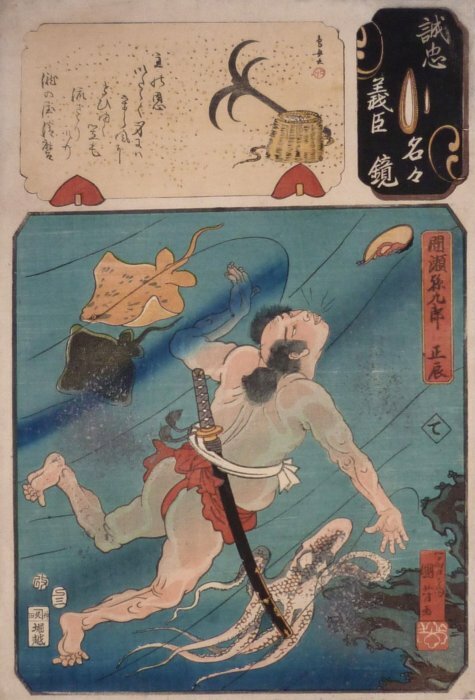 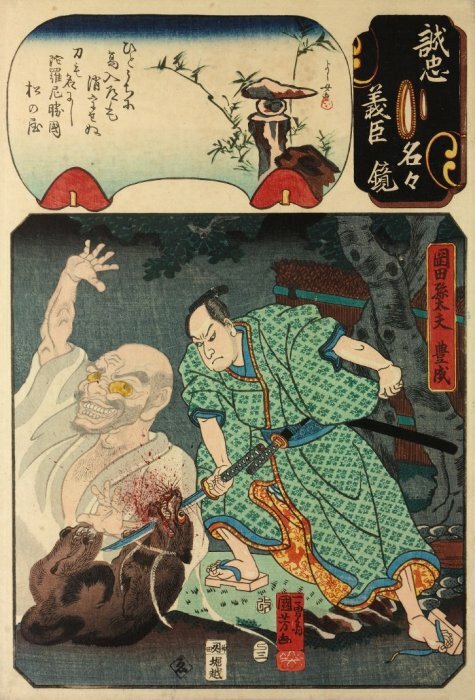 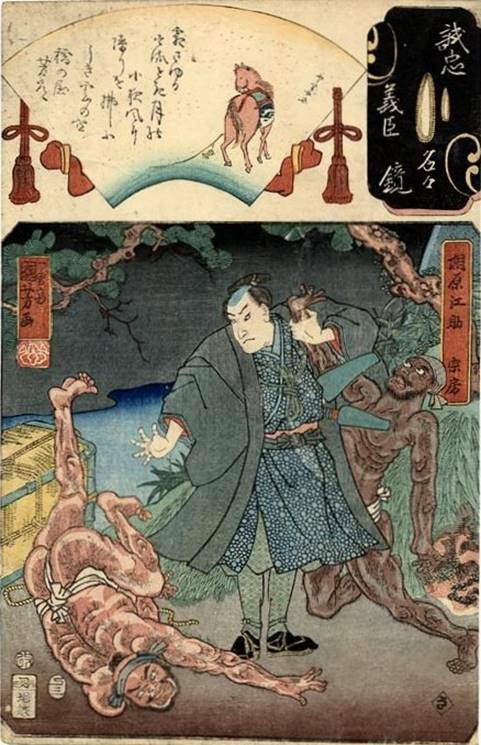 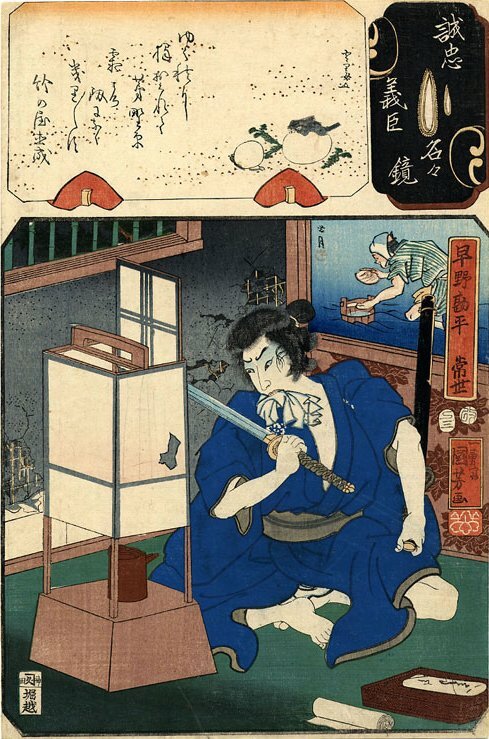 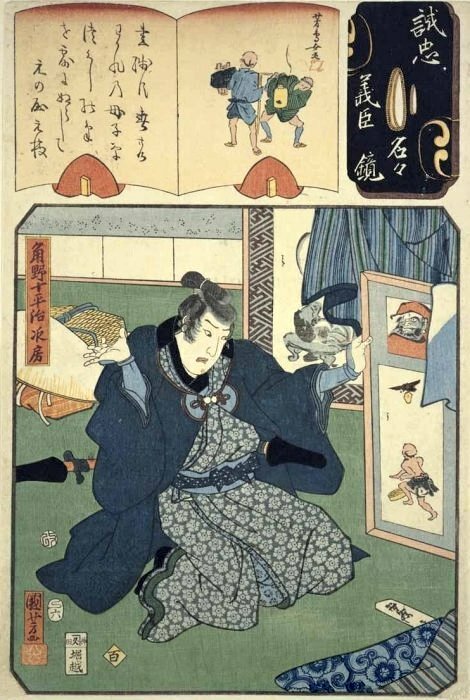 “Robinson” refers to listing in Kuniyoshi: The Warrior-Prints by Basil William Robinson (Cornell University Press, Ithaca, NY, 1982) and its privately published supplement.